You'll be £8.00 closer to your next £10.00 credit when you purchase Rise of the Tang Dynasty. What's this? Julian Romane examines the military events behind the emergence of the Sui and Tang dynasties in the period 581-626 AD. Narrating the campaigns and battles, he analyses in detail the strategy and tactics employed, a central theme being the collision of the steppe cavalry with Chinese infantry armies. By the fourth century AD, horse nomads had seized northern China. Conflict with these Turkic interlopers continued throughout the 5th and most of the 6th century. The emergence of the Sui dynasty (581-618) brought some progress but internal weakness led to their rapid collapse. 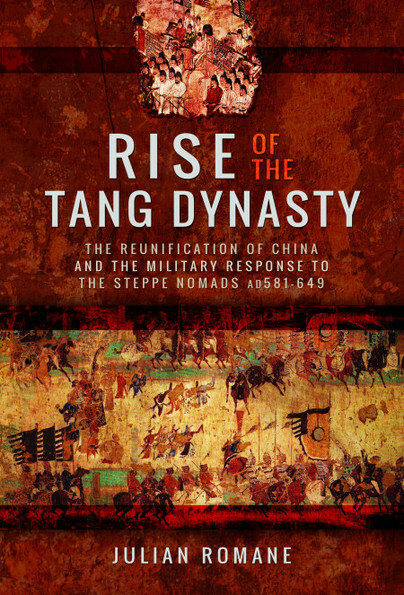 The succeeding House of Tang, however, provided the necessary stability and leadership to underpin military success. This was largely the achievement of Li Shimin, who later became the second Tang Emperor. By the start of Li Shimin’s reign as Emperor Tang Taizong, effective military organizations had been developed and China reunified. His military campaigns are examples of tactical and strategic virtuosity that demonstrate the application of the distinctive Chinese way of war expounded in Chinese military manuals, including Li Shimin’s own writings. Author Julian Romane's addition to the English-language literature falls squarely in the traditionalist camp, hewing closely to the work of Sima Guang in a narrative that occupies the book's first 127 pages. Romane rarely critiques his sources and never seeks to distinguish fact from fiction by comparing variants of key episodes preserved in surviving Tang and Song texts. Julian Patrick Romane has a BA from Beloit College Wisconsin and an MA from the University of Colorado. He has been fascinated with Byzantine history, particularly their military history, for half a century. He has published articles in several journals and is the editor and/or translator of several books on historical and political subjects. He lives in Illinois, USA.